I’ll hold up my hands and admit that I’m a skincare junkie, but my latest fix has gone above and beyond my expectations. I would go as far as saying that I think I might have found ‘the one’ skincare brand that I can continue to go to. 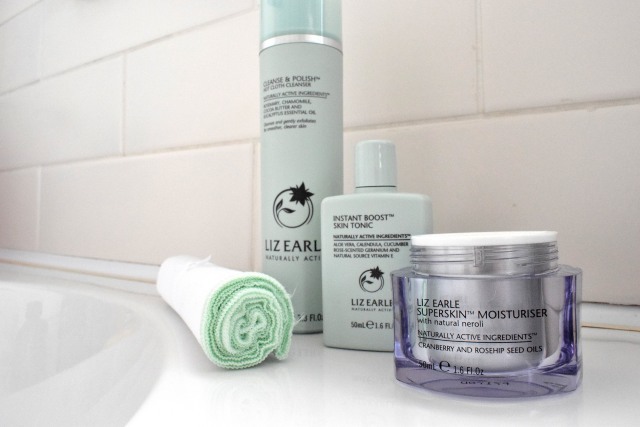 I’ve been searching for a skincare brand that I can rely on, and fingers crossed, I think Liz Earle has come to my rescue. I’d heard of Liz Earle through friends and other skincare/beauty bloggers, but I’d never been formally introduced until I went to the John Lewis Beauty Event. I left the event with its best selling Cream Cleanser firmly on my radar and that I eagerly wanted to try it. Luckily for me, I received two bottles of the Cleanse & Polish Hot Cloth Cleanser for Christmas and since then I’ve using it both day and night in my skincare routine. I still can’t get over how much the Cleanse & Polish Hot Cloth Cleanser has impressed me. I mean, it’s hardly surprising because it’s won countless awards, but still, when you’ve been searching for a brand that works perfectly for you, I guess it takes a little while for it to finally sink in when you’ve found it. The cleanser itself is a rich, indulgent cream that deeply cleanses your skin to remove dirt and even mascara. Even though it deeply cleanses it doesn’t feel like it’s stripped your skin, in fact, since it’s enriched with cocoa butter the cleanser leaves my skin feeling so smooth and soft. Since I have an oily t-zone area, the cloth that comes with the cleanser makes for a great exfoliator too. All I do is apply the cream to my face, rub it in and then wash it off with my damp cloth making sure I gently rub my skin while doing it. One big change I’ve noticed is the lack of breakouts. Normally I get a lot of breakouts along my neckline and during the time of the month, around my mouth, but since using the Cleanse & Polish I haven’t had a single one. 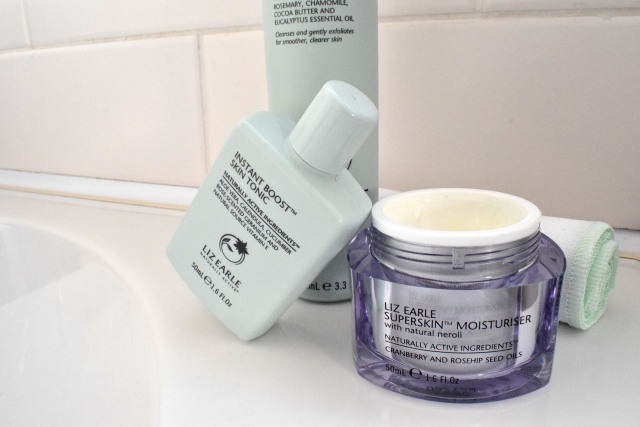 I was so pleasantly surprised about the cleanser that about a month after using it I bought the Liz Earle Instant Boost Skin Tonic and the Liz Earle Skin Repair Moisturiser. The Instant Skin Tonic is a toner and an amazing one at that. I loved that it didn’t burn, or sting, which I have found other toners to do, and it didn’t dry out my skin, or make it feel tight. Instead I feel like it gives my skin a boost of radiance and makes my skin look naturally glowly. 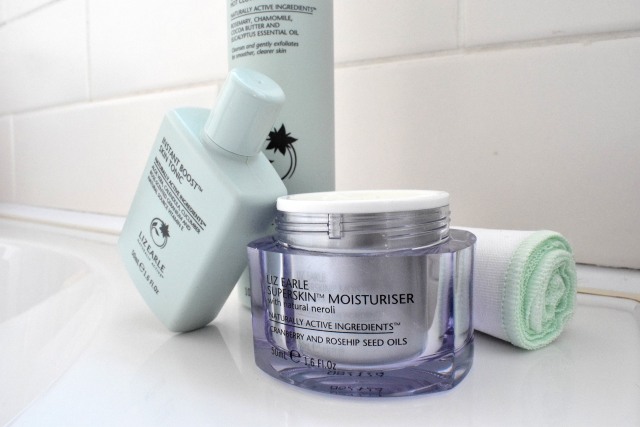 Now here’s my favourite part – the moisturiser. This stuff smells incredible. Every time I apply this, the smell reminds me of going to a spa and the cream just feels like I’m pampering my skin. The moisturiser is so rich and creamy, and a little goes a long way. It absorbs fairly quickly and doesn’t leave a sticky, or oily, residue on my skin. Instead when I wake up my skin feels incredibly smooth, soft and supple. I know it’s only been a couple of months, but I absolutely love these products and I love that they are also cruelty free too. I can’t wait to explore more of the collection. 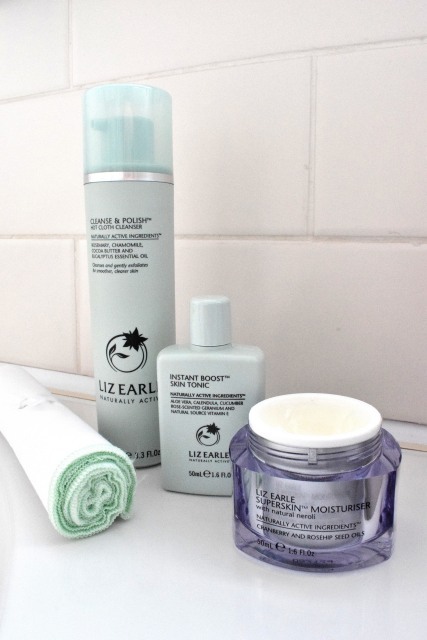 Have you tried anything from Liz Earle before? If you have any recommendations of products I should try, please let me know! I’ve heard of this so much too but have never used it! I will definitely consider giving this a try since you spoke so passionately if it’s benefits! Lovely post! My mother in law loves Liz Earle and bought me the cleanse and polish set for Christmas, but I’m yet to get it out! But after reading your post it has reminded me! I’ve got a Liz Earle exfoliator which smells gorgeous and is so lovely and gentle enough to use daily. I would recommend that!